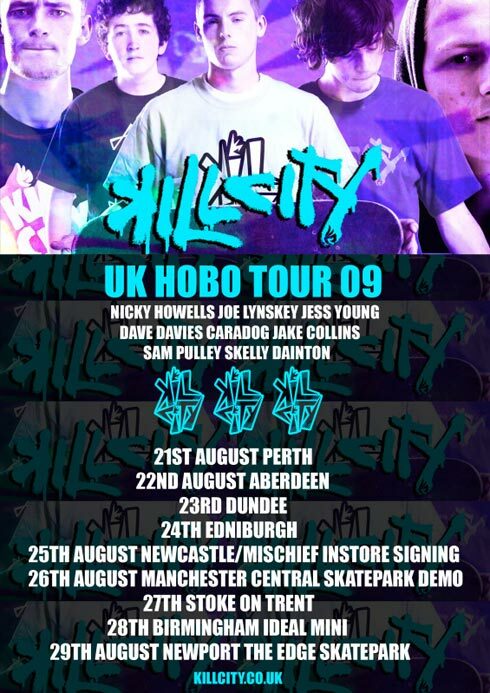 The entire Kill City rabble will be working their way across the UK next week, with Nicky Howells, Joe Lynskey, Dave Davies, Caradog, Jess Young, Sam Pulley, Jake Collins, Skelly and Dainton all in tow, on a last minute push to wrap up filming for their upcoming full-length DVD release. Obviously not every date listed underneath will involve a set demo stop, but if you’re in the area and lucky enough you might catch a glimpse of the crew as they pass through as many of your spots as they possibly can. Keep an eye on www.killcity.co.uk for more info and updates.